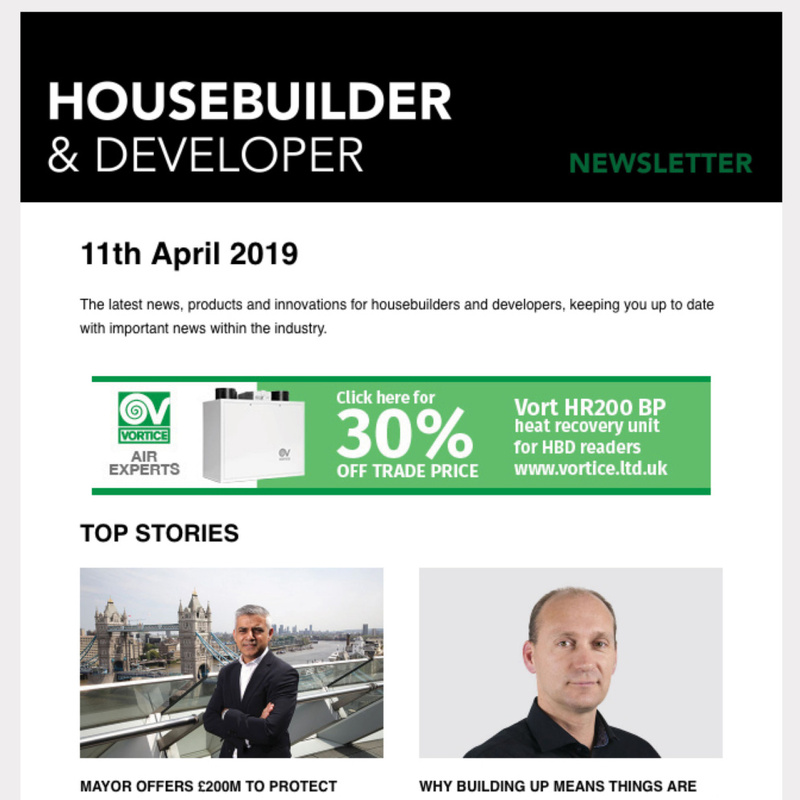 Dunlop – pioneering manufacturer of tiling, flooring and decorating products for the trade – have launched a new Temporary Tile Sealer. Dunlop Temporary Tile Sealer is a protective sealer for use on sensitive tile types like terracotta, marble, limestone, travertine and other natural stone to protect the surface of the tile from discolouration from pigmented tile grouts. Water-based and easy to apply, the sealer is removed by simply washing off after grout application. Available in 500g, undiluted sealer covers approximate 5m2, although on very porous tiles this may be less. 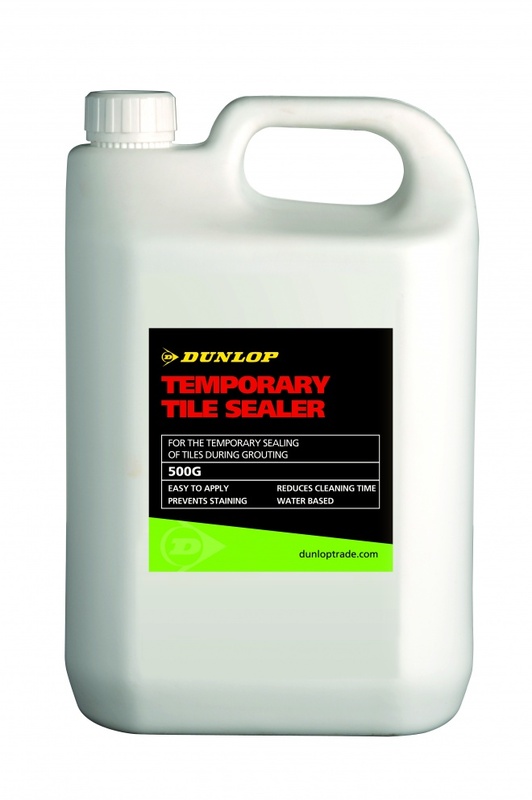 An essential part of any tradesperson’s toolbox, Dunlop Temporary Tile Sealer ensures that tiles remain protected throughout the grouting process. 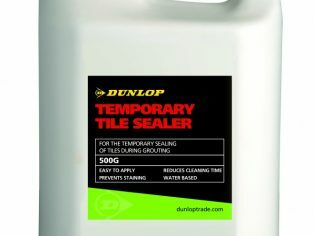 The use of Dunlop Temporary Tile Sealer removes any potential for re-grouting or re-tiling which could add significant costs and time to tiling projects.